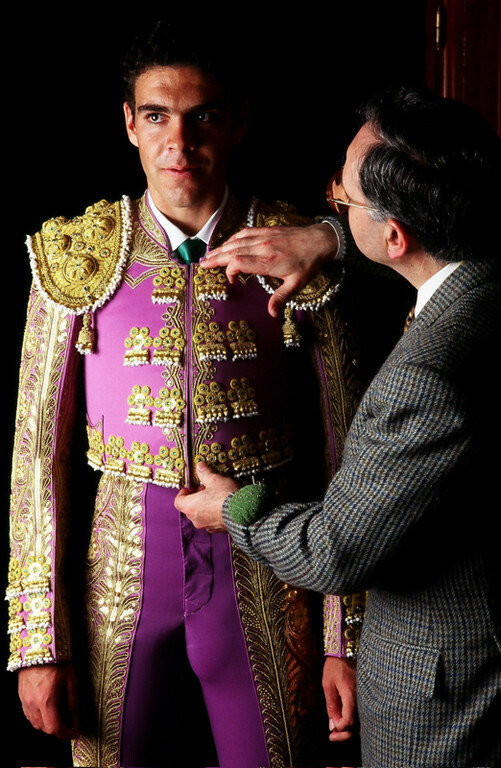 José Tomás Román Martín says "José Tomás", born on August 20th, 1975 to Galapagar (Spain, province of Madrid), is a Spanish matador. 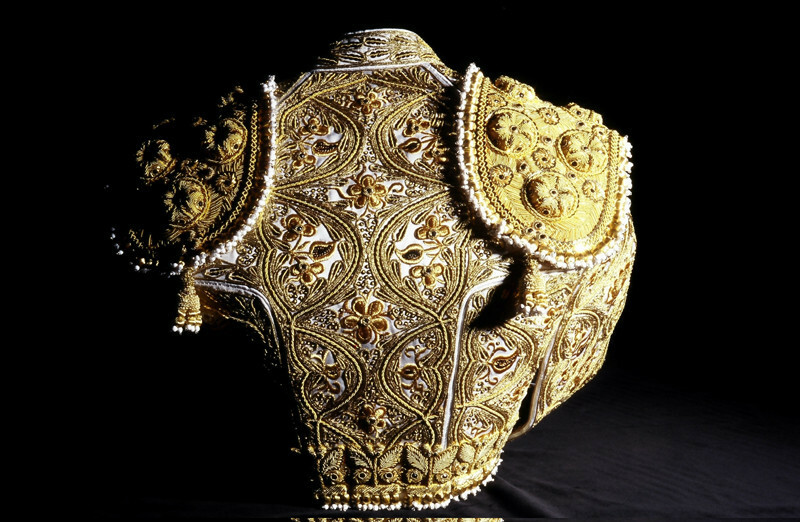 Cold and motionless torero, his grave and hieratic toreo is very recognized by aficionados and some people see in him deserving one a heir of Manolete, his idol. 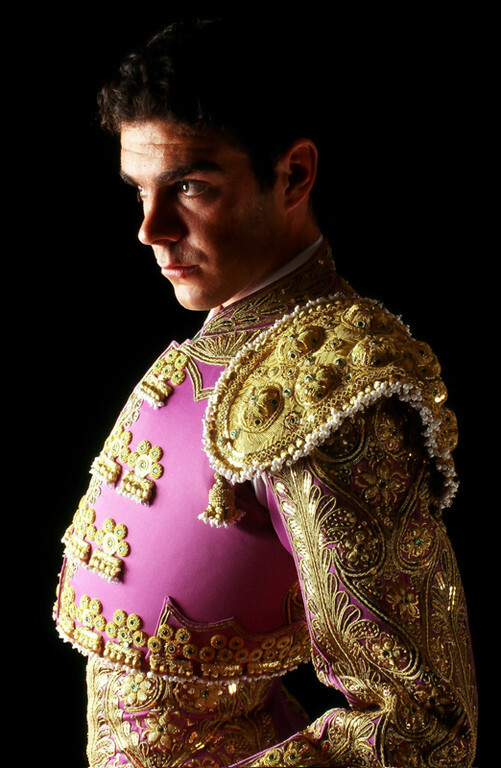 One of the most important elements in bullfight is unmistakably the suit(costume) of the torero. 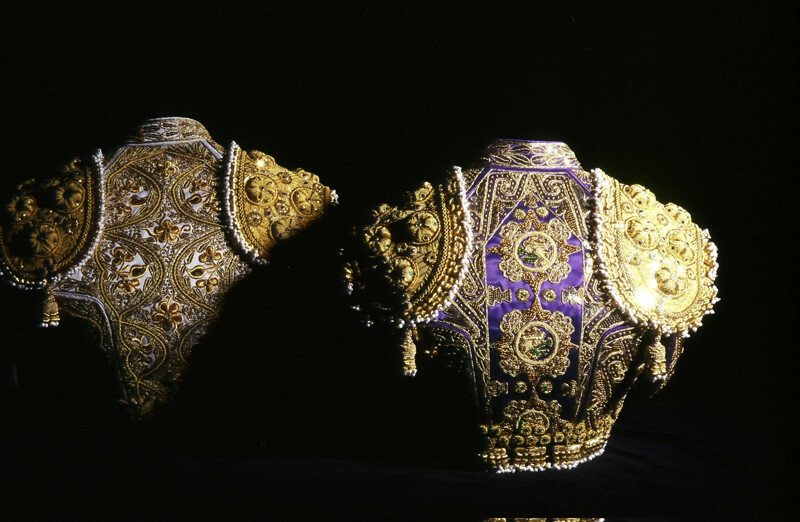 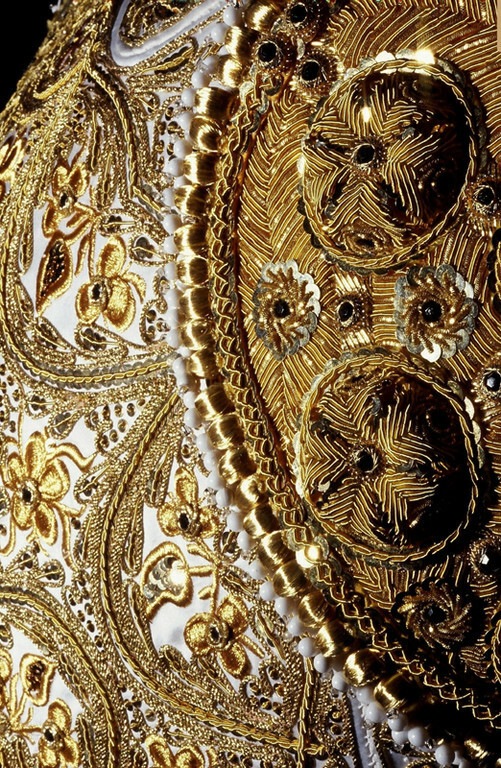 It is colored, has golden and silver(in gold and silver) embroidered sewings, and is often spangled. 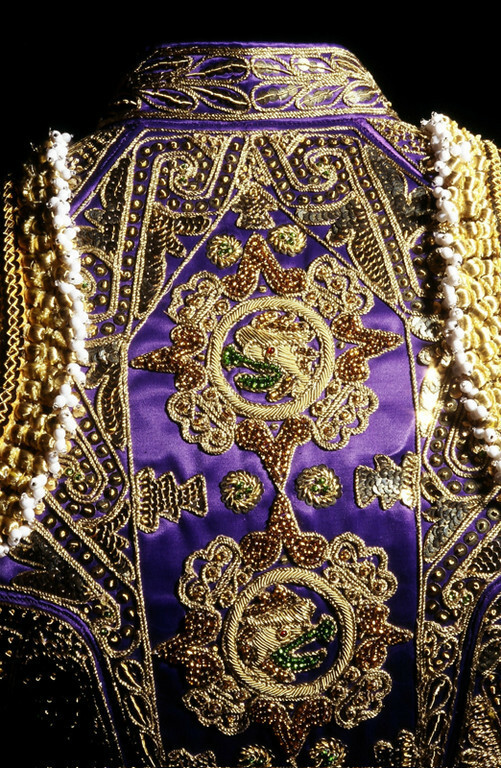 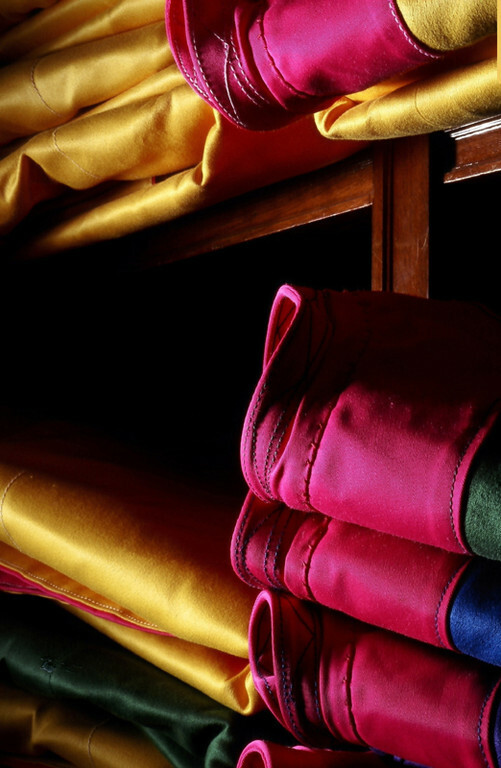 In Spain, we call them trajes of luces - " suits(costumes) of light ". 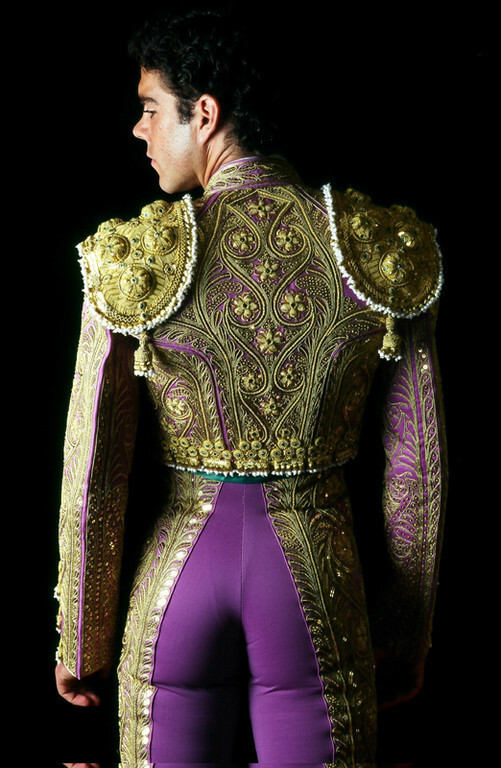 Toreador's suit is a variation of the traditional things of majos, these Castillan dandies of the XVIIIth century who were known for their sense(direction) of the extravagance. 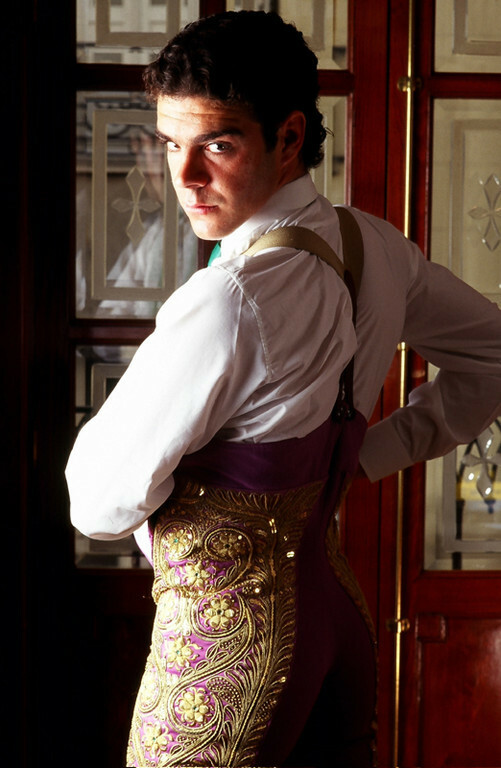 By leaving in the bottom, a traje is established by shoes with flat soles, of a called waisted pants taleguila, a pair of suspenders, a girdle, a shirt, a jacket, a small jacket and a tie or a bow tie. 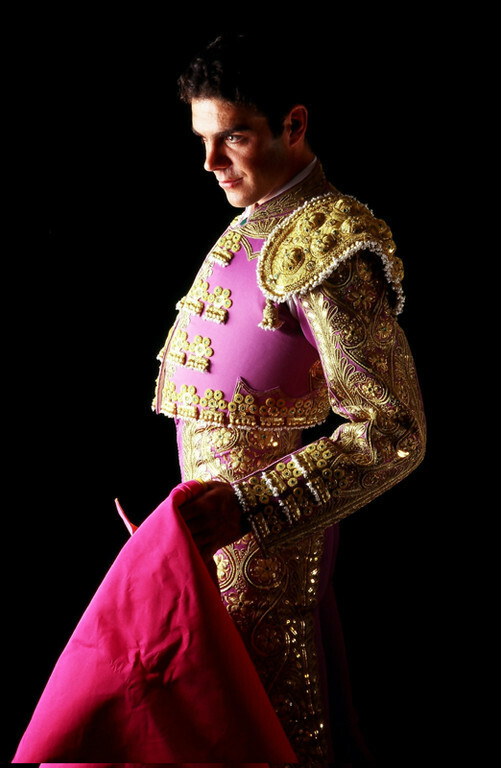 Then the most interesting part - a pink and yellow cape, used during the "dance" of the torero, and a muleta, a red cape a little comes finally.